What Makes Meyer Lemons Different From Other Lemons? 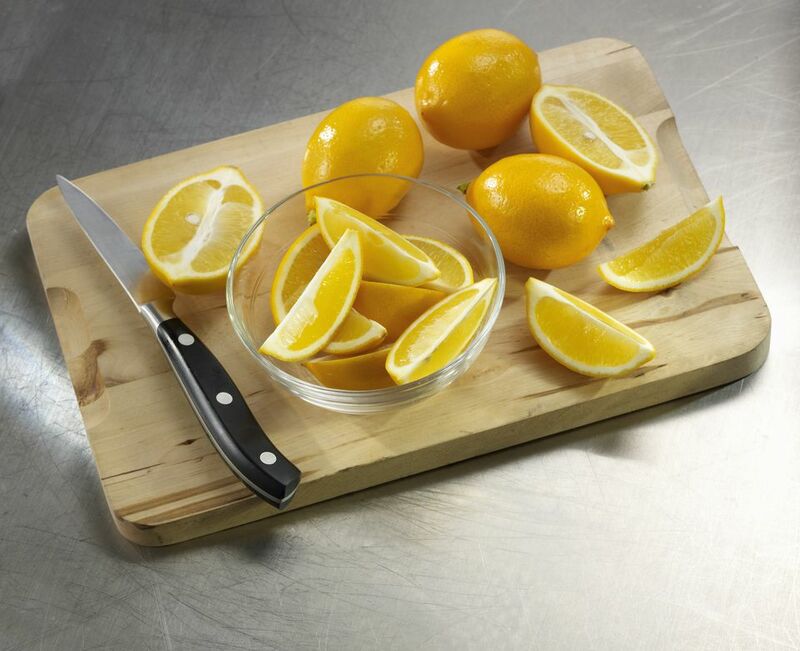 Meyer lemons are generally sweeter than other lemons, sometimes even taking on an orange-like aroma and flavor. They are so named because they were identified in 1908 by U.S. Department of Agriculture explorer Frank N. Meyer and are thought to be a cross between Eureka or Lisbon lemons and Mandarin oranges. What's the Fuss About Meyer Lemons? People love Meyer lemons because they have a sweeter and more floral taste than other lemons and can even have a slightly orange tint and flavor. Since they also have very thin skins, they are difficult to transport and store, making them all the more coveted. Meyer lemons are more seasonal than the ubiquitous Lisbon and Eureka lemons, with the limited commercial harvest running from December or January through May. Most Meyers are grown in California backyards, but rising interest and wide culinary interest have created demand for a commercial crop, and they are increasingly available at markets outside California. Meyer lemons are, as mentioned, sweeter than regular lemons, making them great additions as fruit rather than just juice and for adding lemon flavor without the mouth-puckering sourness of other lemons. They're especially good in salads. Use them in sections (like orange slices) for the best look and flavor. You can even try whisking Meyer lemon juice with some olive oil and white wine vinegar for an easy lemon vinaigrette salad dressing. Here are a few salad options to try: Fennel Salad With Meyer Lemon or Arugula Salad With Broiled Lemon. Meyer lemons have a beautiful floral aroma that can add a wonderful note to traditional lemon dishes, such as lemonade and cocktails. While their unique flavor can enhance ​lemon desserts, such as lemon bars, they are not as acidic as regular lemons and should not be used as a one-to-one substitution, even in sweet recipes. When in doubt, taste before you bake. Meyer lemon trees like the warmth of the sun but don't do well in climates where there's a lot of wind, because of their fruit's thin skins and the trees' somewhat delicate branches. The trees need plenty of water, but also good drainage. They can stand cold snaps, but not freezing temperatures. In short, they aren't as picky as some citrus varieties such as grapefruit, but they aren't going to do so well (and blossom tasty fruit) in anything cooler than a very temperate climate. The good news for lemon lovers in colder climates: Meyer lemon trees do quite well in containers, so you can move them inside and outside as the seasons change. They won't grow huge in that situation, but they will bear fruit, and you'll have some remarkably sweet-tinged lemons to play with in the kitchen.